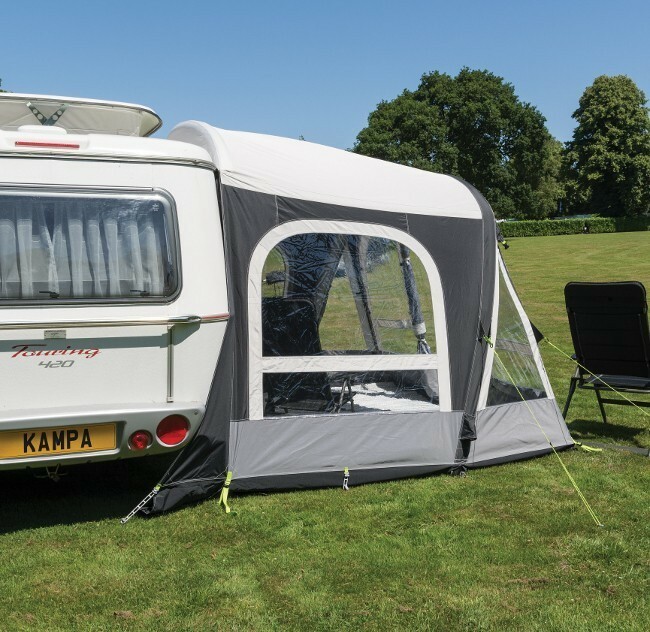 Special version of Kampa AIR Pro inflatable awning specifically designed for Eriba Triton and other similar size pop roof caravans with awning rail height between 184cm and 198cm. 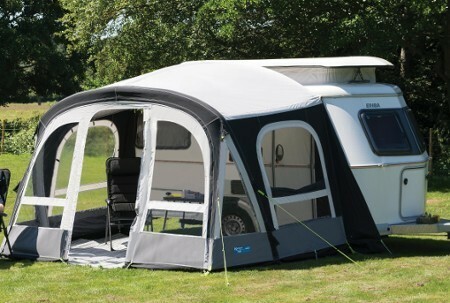 Based on the Kampa Fiesta AIR awning, the Pop AIR Pro shares many of the Fiesta's features including easy pitching, quality materials and stylish design, but the Pop AIR Pro has an additional inflatable tube to raise the height of the awning so it can attach to the low awning rail on the Eriba while still providing plenty of headroom inside. Made from 300D Oxford Weathershield Polyester the Kampa Pop is very durable and offer 6,000mm hydrostatic waterproofing along with taped seams to provide the best water seal. 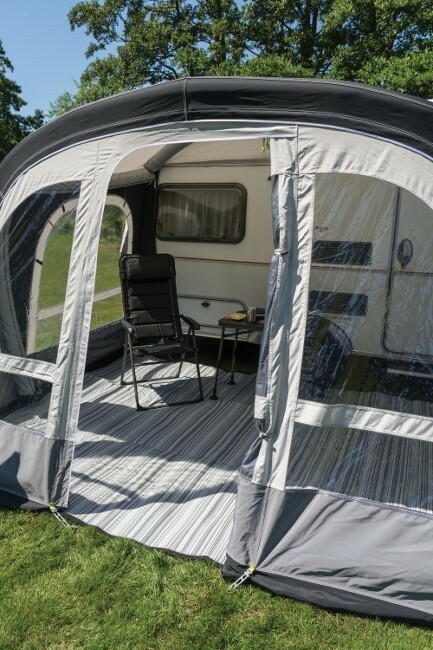 The Pop AIR Pro has windows on all sides so, despite being fitted to a smaller caravan, gives the feeling of a large space with plenty of light. 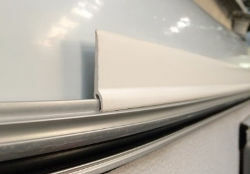 The front panel has a central door or can be removed entirely to turn the Pop awning in to a deluxe sun canopy. Both side panels have large windows and closable mesh screens for improved ventilation. All windows have internal privacy covers. 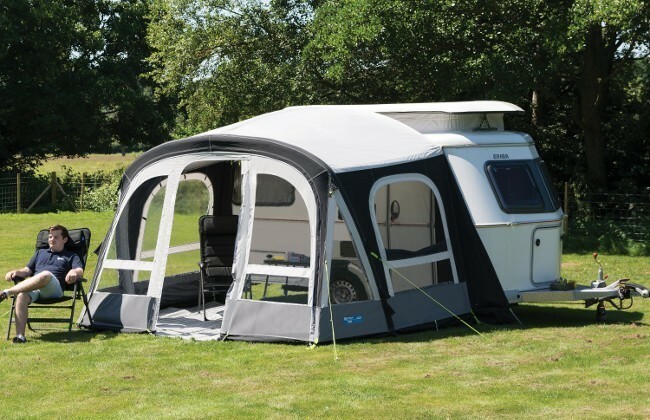 Pop AIR Pro 340 is designed for the Eriba Triton but can also be fitted to other Pop-up caravans and vehicles with an awning rail 295cm or longer and at a height between 184cm and 198cm from the ground. 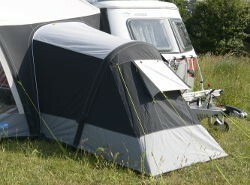 This awning can be used on campervans with a low 'C' channel awning rail but it is NOT a drive-away awning. Please be aware of this if buying for a Campervan.